Making homemade pizza is a passion of mine. I love the smell of the dough rising and the various topping combinations you can make. My husband keeps trying to get me to me to make an all meat pizza, but for me, that would be a heart attack waiting to happen. Plus after overindulging during the holidays and eating and drinking our way through Europe, I’ve been trying to cook things that are at least mildly healthier than our usual gluttonous feasts. 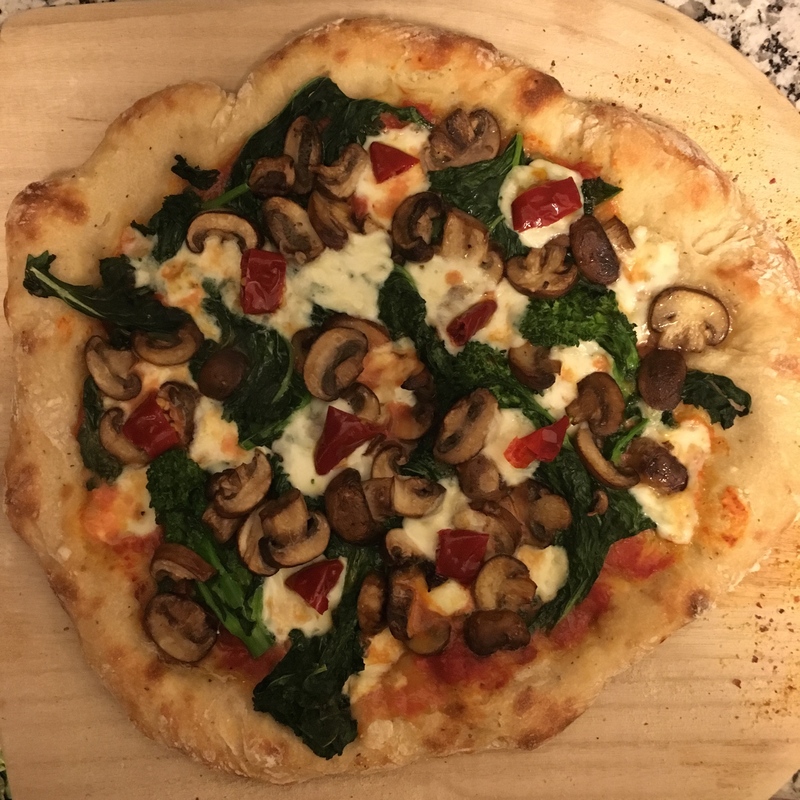 So tonight I went vegetarian and topped the pizza with some quickly blanched broccoli rabe, sautéed cremini mushrooms, and finished it off at the end with some spicy Calabrian chilies. 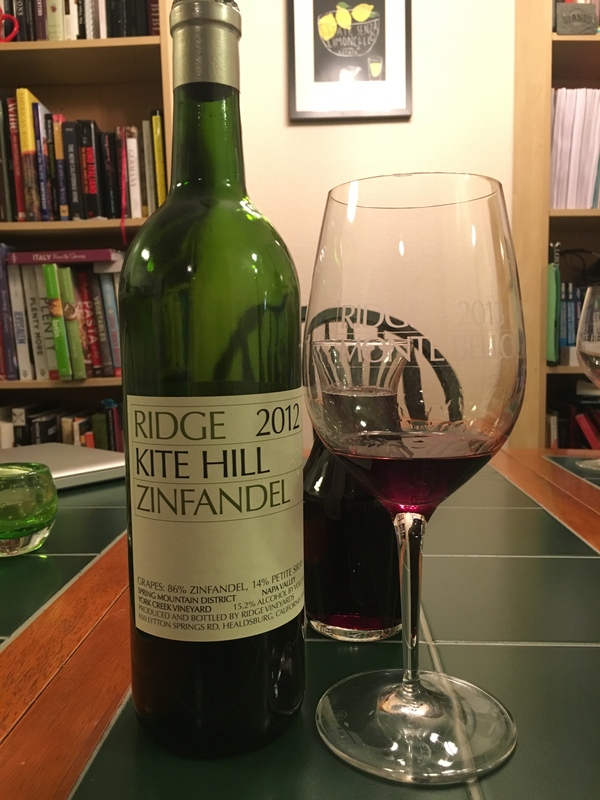 I always like a good Zin with my pizza, so I had the opportunity to open a recent wine club selection from Ridge, the Kite Hill Zin. Kite Hill comes from a section of the York Creek Vineyard in Napa Valley. 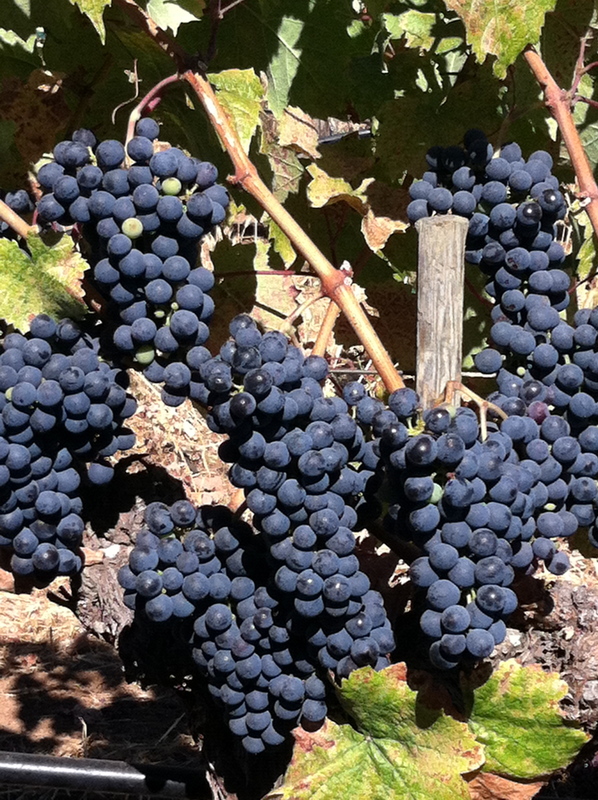 This is the only vineyard Ridge sources from in Napa, and it’s a good one. They usually bottle a Zin called “York Creek,” but apparently this year the wine deviated from the typical flavor profile of York Creek, so they dubbed it a different nomenclature. Indeed it did taste quite different from any Ridge York Creek I’ve had in the past. Missing was the characteristic black pepper that I find in many Napa Zins. It did still have the depth, structure and dark fruit from the Petite Sirah, but it seemed much riper in style, leaning toward mixed berry fruit compote on the palate. While both the wine and the pizza were enjoyable, they may not have been ideal complements. 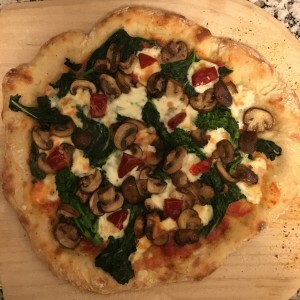 The pizza had a bit of an earthiness to it with the mushrooms and the bitterness of the broccoli rabe, and therefore might have been better with a more rustic wine from Italy or even a Zin that wasn’t quite as fruit forward. Yet the fruity component did help mellow out the Calabrian chilies—those little bastards were SPICY! Still, not every wine pairing is ideal, but it’s always fun to experiment. This entry was posted in On The Table on January 19, 2016 by Kareasa.